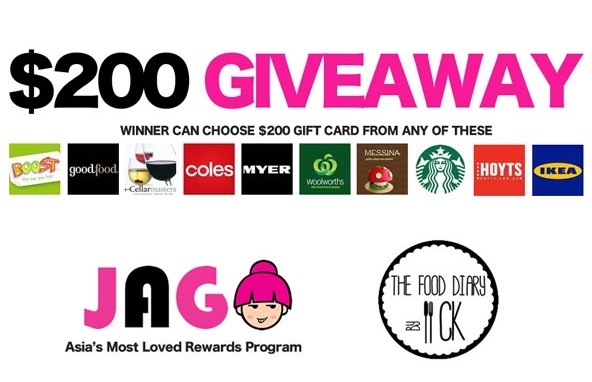 Good news everyone – JAG Ideas Group have partnered up with us and are sponsoring a big gift card giveaway 🙂 The winner gets to pick a $200 gift card including a bunch of cards aimed at foodies such as Boost Juice, GoodFood (yes please), Cellarmasters, Woolies, Gelato Messina, Starbucks and much more! Details on how enter are located down at the end of this post. JAG was founded in 2011 and currently has offices in Australia, Hong Kong and Taiwan.This win-win platform enables advertisers to target specific consumers and get their full attention, while consumers are rewarded for their time of watching ads and providing feedback. 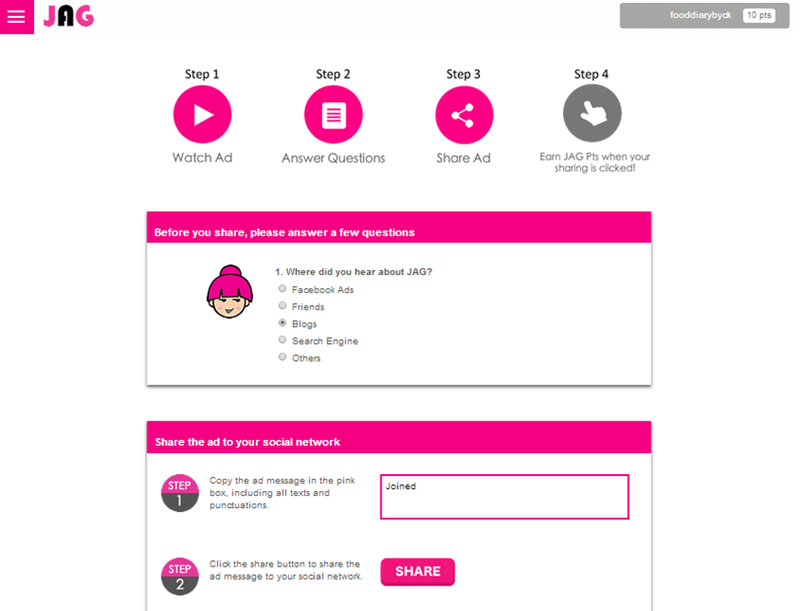 Advertisers are willing to pay JAG to help them find the right people to watch their ads and provide feedback, and JAG gives a portion of that to members in the form of gift cards, cash vouchers or gifts as reward for participation. 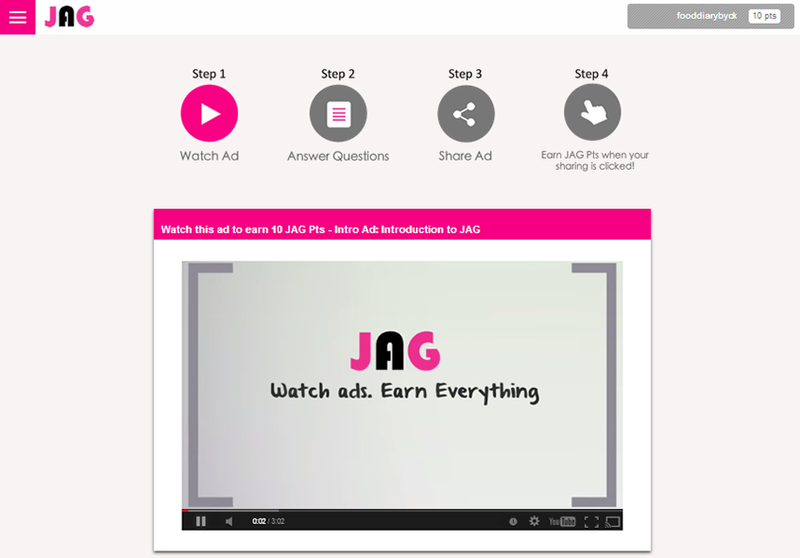 JAG is an innovative start-up based in Asia and Australia which rewards consumers for watching numerous advertisements from various companies with a selection of prizes to pick from, the concept is quite interesting and is worth taking a look at. 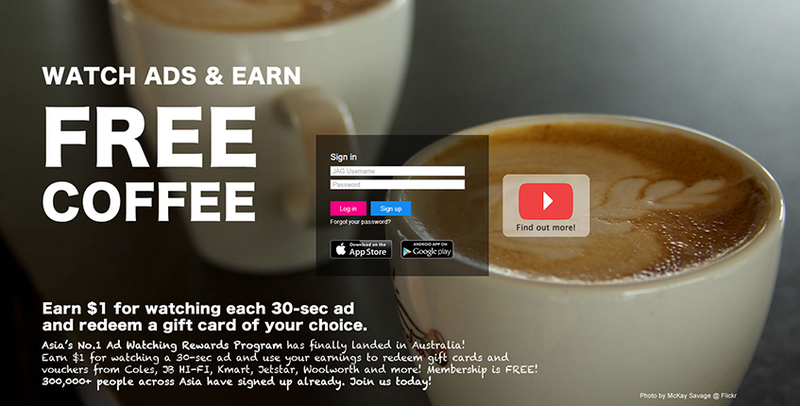 The sign up process is simple and within minutes you can start watching ads to earn points that go towards redeeming prizes. The first step is a quick registration and profile setup for yourself, pretty straightforward and can be done in a matter of minutes. The site is very simplistic and everything is self explanatory so there isn’t a lot of confusion – there are also mobile apps for those that want to do this on the go! 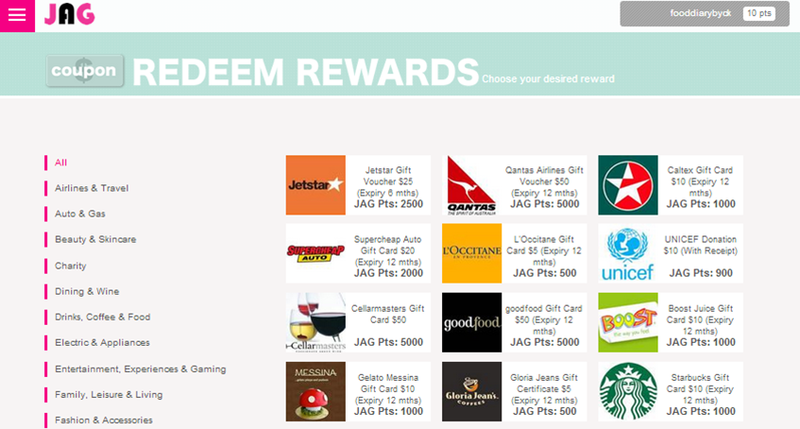 After logging in for the first time you’re presented with a bunch of tasks or ads that you can complete to gain JAG points that can be redeemed later on for rewards. Since we had just signed up we were given some basic beginner tasks to get us started and familiar with the whole system. When you decide on an ad to watch you get taken to the workflow screen where you view the ad in a little window, the ads vary in length and the rewards also differ for each of the ads. After viewing the ads you’re asked to answer a bunch of questions which are relevant to the ad and include feedback as well. You’re then asked to share the ad on Facebook, every time someone clicks on your share you earn some extra JAG points for yourself! And finally when you earn enough points (we clear didn’t unfortunately) you can head over to the redemption page and pick from a huge variety of gift cards to claim! Definitely something you can do in your spare time and it’ll earn you a little bit of spending money on the side too! For our readers we have ONE gift card worth exactly $200 up for grabs which will go to one very lucky winner. Good luck to everyone who enters and don’t forget to like our facebook page or Instagram (@fooddiarybyck) for all post updates and any future giveaways that we run! Closing Date: Sunday 7th September @ 9pm. We will require a response from you within 48 hours.